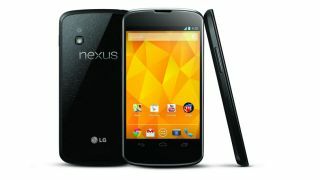 Google has apologised to customers in the UK over the delays and stock shortages of its latest smartphone, the Google Nexus 4. Launched back in October, the Nexus 4 has been difficult to get hold of worldwide with initial stock selling out in a matter of minutes and customers left waiting weeks, if not months for their new handset to arrive. Dan Cobley, Google UK and Ireland's MD has now posted an open letter on his Google+ page, apologising to those waiting for a Nexus 4 to arrive. Cobley's letter reads: "I know that what you are going through is unacceptable and we are all working through the nights and weekends to resolve this issue. "Supplies from the manufacturer are scarce and erratic, and our communication has been flawed. I can offer an unreserved apology for our service and communication failures in this process. "For those that originally received a 3-5 days shipping estimate, your orders are now in process for fulfilment. You can expect an email notification early this week which will include tracking information. Although you will be initially charged in full, you will receive a credit for the shipping charge soon after. "For others that received pre-Christmas shipping estimates, we anticipate processing your orders for fulfilment this week. "I realise that the people who ordered the Nexus 4 so early are among our most committed and loyal users and we are doing all we can to put things right." Although there's no clear cut blame, Cobley does highlight that there are issues with the manufacturer, which in terms of the Nexus 4 is LG. He also highlights communication failings between Google and LG, which is pretty embarrassing for both parties. The good news for consumers is that orders are being processed and handsets are on their way, hopefully arriving just in time for Christmas.